In his latest innovative novel, the award-winning author evokes the dazzling Tang Dynasty of 8th-century China in a story of honor and power. Inspired by the glory and power of Tang dynasty China, Guy Gavriel Kay has created a masterpiece.It begins simply. Shen Tai, son of an illustrious general serving the Emperor of Kitai, has spent two years honoring the memory of his late father by burying the bones of the dead from both armies at the site of one of his father's last great battles. From the multiple award-winning author of Tigana, A Song for Arbonne, and the three-book Fionavar Tapestry that "can only be compared to Tolkien's masterpiece" (Star-Phoenix), this powerful, moving saga evokes the Celtic, Anglo-Saxon, and Norse cultures of a thousand years ago. 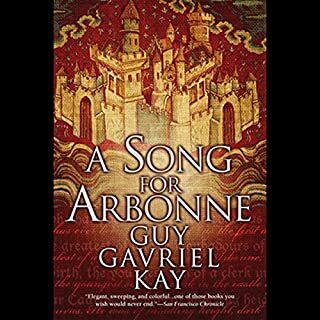 A Song for Arbonne is Guy Gavriel Kay's critically acclaimed fantasy of love, both courtly and forbidden, and of kingdoms endlessly opposed - one dominated by male rulers and their male god, the other guided by women and their goddess. 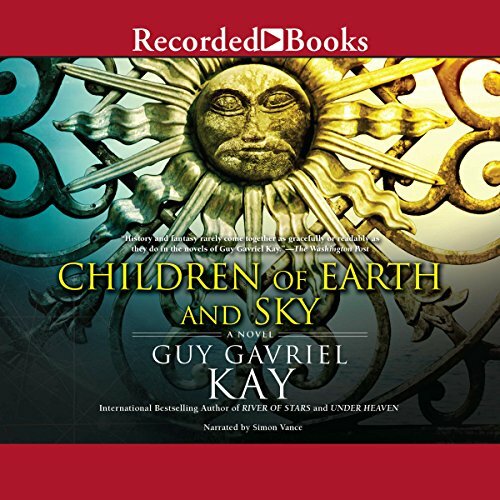 The best-selling author of the groundbreaking novels Under Heaven and River of Stars, Guy Gavriel Kay, is back with a new novel, Children of Earth and Sky, set in a world inspired by the conflicts and dramas of Renaissance Europe. Against this tumultuous backdrop, the lives of men and women unfold on the borderlands - where empires and faiths collide. 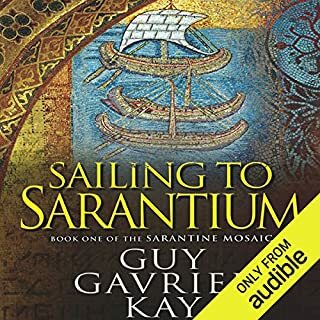 In many ways this is a continuation of the two books, "Sailing to Sarantium" and "Lord of Emperors " although it can be listened to as a stand-alone novel. The time is a thousand years later, and the world, an analogue of the Balkans, Venice, Dubrovnik, and Istanbul is much different, of course, but there are many allusions to the earlier books. The historical "real world" aspects are rather more obvious than in the last few books Kay has written. Perhaps, because I am a Dorothy Dunnett fan, in the beginning I feared it would tell a similar sort of story to her Niccolo series, but I quickly realized it was not so. The number of characters is bewilderingly large, but the main characters soon sort themselves out. As always, Simon Vance does a good job, but he really does not have the vocal range needed to make each voice distinctive. The pace of the writing takes a while to adjust to, as Kay has a distinctive style, just as I find one has to adjust to John le Carre's slow pacing. 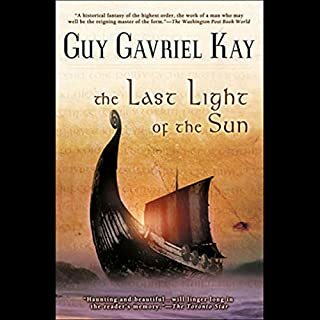 In short, Guy Gavriel Kay has created a satisfying new installment in his "history" of a world with two moons. Guy Gavriel Kay's books tend to be sweeping epics full of wonderful atmosphere, detailed and realistic cultures, and believable characters. This one isn't any different! 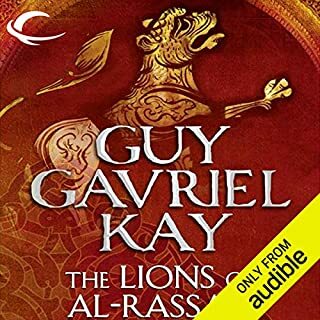 It's been a while since I read any of his books and I recall that my favorite was The Lions of Al Rassan, so I was pleased to find this is set in the same world, although many years later. The story follows several characters of different backgrounds including Danica Gradek, who lost her family to Ozmanli raiders and has dedicated her life to revenge; Pero Villani, a poor artist who is asked to risk his life to paint a portrait of an enemy ruler and use the opportunity to spy for his country; Leonora Valeri, also being sent to spy but whose path in that direction is suddenly derailed; and the Djivo merchant family, who meet, assist, and help transport all of the others and have an interesting story of their own. Many other characters besides these of course, but the story mainly revolves around these ones as they meet and separate and meet again in various circumstances and we learn about the current world and politics through their eyes. 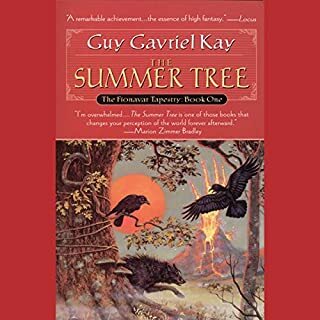 Guy Gavriel Kay writes beautiful lyrical prose with incredible character development and captivating plots. Immersive is an excellent adjective to use for Kay's writing. Especially if you listen to the audible books. Kay's writing is rich in nuance and cadence. It is lyrical and melodic and deserves to be read by a great narrator like Simon Vance. Listening to this, and all his books is beyond a pleasurable immersive experience! Most of his books are essentially historical fiction with a quarter turn to fantasy. He takes a time and place in our world history and retells it in a fictional world. While writing an often deep and complex story, he engages the reader in the bigger questions of life. Another great read from Kay! Where does Children of Earth and Sky rank among all the audiobooks you’ve listened to so far? The story is in the same vein as most of Kays stories. Sweeping epics that are well thought out and complex. The stories tend to come together in the end with twists that make you think. Danica was my favorite because she was seeking revenge for past wrongs done to her and her family. As always, Simon did a great job with the voices. One of my favorite narrators in the business. If you could take any character from Children of Earth and Sky out to dinner, who would it be and why? Danica again because she has that fire in her blood that makes her a very interesting character. Somebody who seems to need some love and light in her life. I enjoyed listening to this story! All of Kays stories are worth reading or listening to. Even though this is not my favorite Kay story, it was well worth listening to. Simon Vance makes this tale amazing. I found this to be an amazing story, though i could do with a bit less moralizing. Simon Vance could read my death sentence and I would be pleased to hear it. He has done it again. Lyrical, touching, exciting by turns. Great to hear the tie ins with the Sarantium Mosaic. I have mixed feeling about this book. 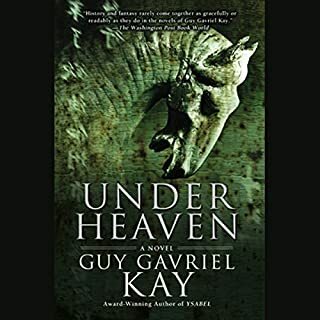 I love Guy Gavriel Kay's writing and I mostly enjoyed this book. However I do not believe it is his best work and could use some careful editing. I feel like to much of this book was spent unnecessarily repeating events that happen through multiple viewpoints and he made to many pointed references to the other books Kay has written set in the same universe. I felt like the beginning fourth of the book and the last fourth are the strongest and the middle suffers a bit. Guy Gabriel Kay entrances again! With another book in his elegant pseudo-historical of Sarantia and the Osmanli empires, which echo the drama and linguistic influence of the fall of Byzantium to the Ottomans, Kay weaves a beautiful study of humanity. I'm always amazed at Kay's economy in investing his characters with such great depth in so few words and the resulting ability to make us care for and feel the poignant tragedies and restoring victories of his band of protagonists. Kay's prose seems to just become more eloquent with each novel, regardless of the setting, and I often find myself just enjoying the insightful reflections on the scale of every human life, even against history or eternity - a deeply satisfying read that I highly recommend. When language is as rich as ice wine and the story still flows with absolute purpose. Good. Not so much as Lions or Arbonne. in the case if Lions, neither as good in story or performance. For Arbonne, not as good in performance. Still, performance was very good and story tugged some strings in the home stretch.